Sandra "Sandy" K. Duff, 73, of Westmoreland, TN, passed away at Westmoreland Care and Rehabilitation Center at 2:20 am on Friday, July 28, 2018. From her birth on January 25, 1945 to her death, she made friends with all those around her and never failed to share her love of the arts. She was born in Newark, Ohio to Calvin and Aleine Walker and was the oldest of their four children. 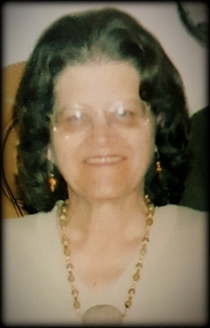 She was an avid reader, loved to crochet, paint, and watch the "soaps." For years, Sandy was the president of the Licking Country Art Association and was an active member of the Piqua Shawnee Native American tribe. In 1963, she married Danny Duff, Sr. Left to honor Sandra and her love are her three children, Kelly Kunsman (John) , Danny Duff, Jr. (Cyndi), and Jami Duff, six grandchildren, Victor DePoyo, Pierre DePoyo, Yves Depoyo, Danny Duff, III, Ashley Towns (Daniel), Korri Swick (Matty), five great grandchildren, Alexis Scott, Carson Duff, Hayley Duff, Briley Duff, Paisley Towns, Whitley Towns, Breck Hanley, two siblings, Calvin Walker (Kathy), Mick Walker (Merryl), and several other in-laws, nieces, nephews, cousins and many friends. Sandra was preceded in death by her parents, Calvin and Aleine Walker, her husband, Danny Duff, Sr., and her brother James Walker. Visitation services will be held on Monday, July 30, 2018, from 10am until 2pm followed by a prayer memorial service at 2pm at Woodard Funeral Home, 5591 Highway 31E, Westmoreland, TN 37186. NOTE: In lieu of flowers the family request you make donations to the funeral expenses. You can make these at the office of Woodard FH.